Our approach to service and collaboration is focused on creating impact, building peer connections, and the values of humility and respect. 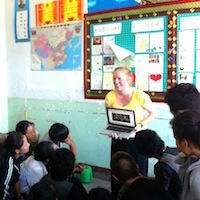 Our impact is channeled through two professional tracks for work: Our NGO track prioritizes capacity-building at local institutions, allowing fellows to use their skills and previous professional experience to boost host organizations’ abilities to tackle issues ranging from anti-trafficking to environmental protection. Our English teaching track emphasizes critical thinking, student-centric education, and preparation for higher learning opportunities across Asia and in the US. VIA fellows support our partner organizations in combating human trafficking in Southeast Asia. By teaching English at these institutions and providing programmatic support, our fellows build capacity for these organizations to reduce trafficking. 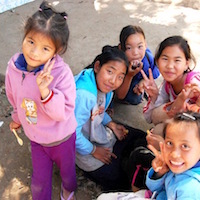 VIA fellows at rural and community development posts in Asia help their partner institutions through a combination of functions such as research, grant writing, report writing, English teaching, translating, and advocacy. VIA contributes to our partners’ missions of improving the future of physically disabled students and raising awareness about the potential of people living with disabilities by sending fellows to teach English to these students. In addition, VIA fellows also help with initiatives for the school outside of the classroom, often working on advocacy, community service, and fundraising. VIA’s teaching posts emphasize developing students’ critical thinking skills. Our English teachers use their TESOL training from VIA and their previous experience to teach in a wide variety of settings throughout Asia, from large universities to small, early education schools. 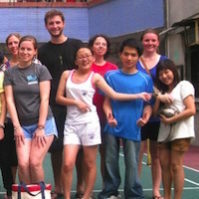 VIA contributes to environmental protection campaigns in Asia by sending fellows to build local nonprofits’ capacity. 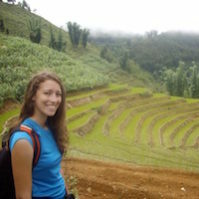 Fellows edit and summarize research writings and reports, while also teaching English to the organization’s staff and participating in field studies. This hands-on approach to tackling important issues in Asia allows us to work collaboratively with our partners on solutions that are locally appropriate.